In addition to shuttling myself between these 2 colleges at different ends of Los Angeles County… I also shuttle this blue notebook with red-edged pages from college to college. At Long Beach I see a dancer named Kaelie Osorio at the “Umbrella Tables” at the USU. At Santa Monica I see a dancer named Erik Fine, sometimes at the 3rd floor landing at the top of the CPC stairs. 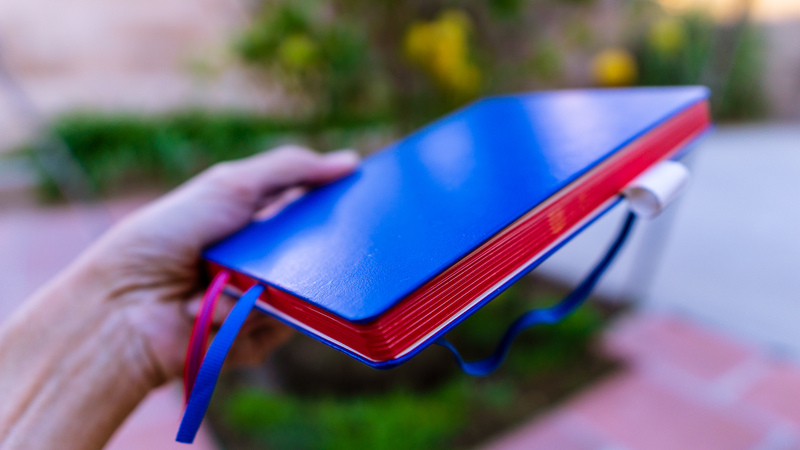 What if the blue and red notebook that was visiting both campuses anyway, carried little choreographic messages, or ideas, between Kaelie and Erik? Simple things they could try @USU or @CPC?